Rising sharply out of the immense blue waters of the South Pacific, halfway between New Zealand and South America, lies a small jut of a volcanic rock known as Pitcairn Island. 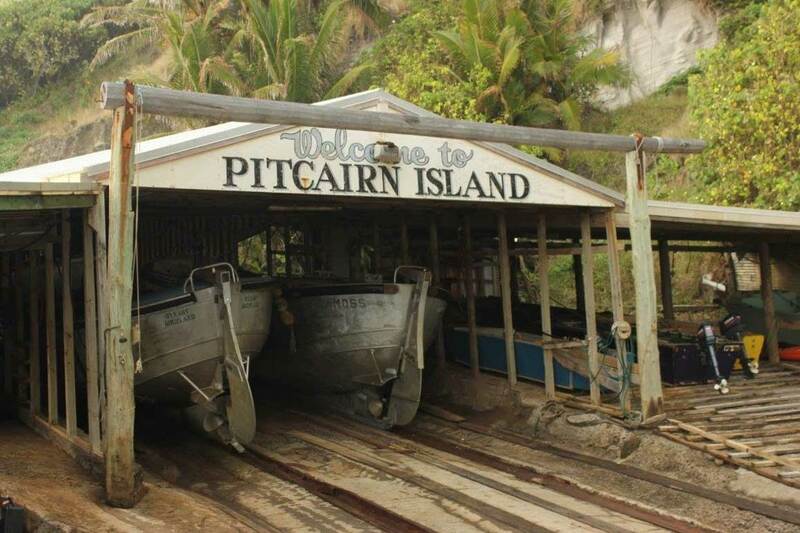 Pitcairn belies the typical mental image of a South Pacific island. Here you will not find vacation friendly white sandy beaches, swaying palm trees and lagoon-side cabanas. Pitcairn rather, offers a rugged and rocky coastline ascending upward to its apex at 1138 feet (347 meters) at Pawala Valley Ridge. Jagged coral ridges lie hidden beneath the island’s dense tropical vegetation further conflicting one’s mental image of a Pacific Island. Pitcairn and its sister islands of Henderson, Ducie and Oeno, make up the Pitcairn Islands which geologically originated from a volcanic hotspot located some 125 miles away. This particular hotspot has continued to spew forth molten rock creating these Pacific seamounts over the course of the past 11 million years. The Islands constitute the only British overseas territory in the South Pacific while Pitcairn Island itself encompasses a mere one-mile by two-mile area and is the only inhabited island of the four. 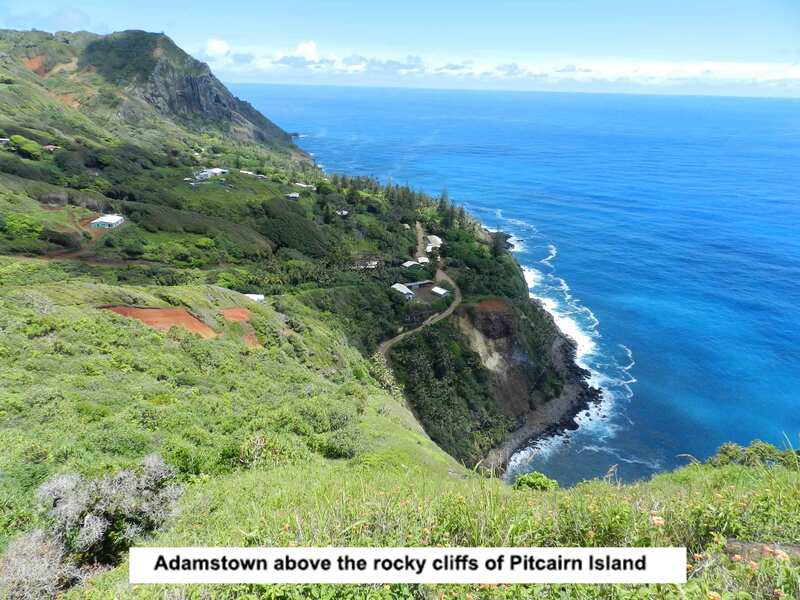 With a current population of about 50 people residing in the lone settlement and capital city at Adamstown, Pitcairn Island is acknowledged as one of the most remote sites of human habitation on earth. 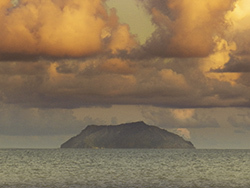 The island was uninhabited at the time of its European discovery on July 2, 1767. On that date a fifteen year old midshipman on his watch high in the crow’s nest of the HMS Swallow shouted, “Land ho!” as he spied the island perched from the ship’s vantage point. 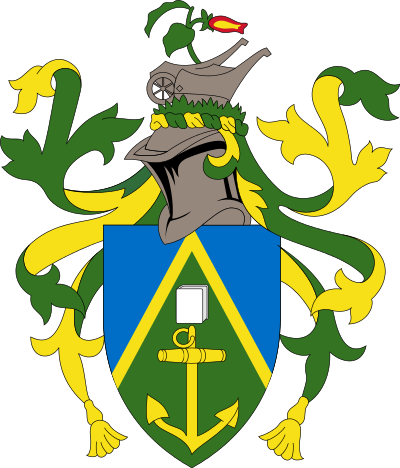 For his efforts, young Robert Pitcairn was rewarded by the Swallow captain, Philip Carteret, with the island being designated “Pitcairn” in his honor. Arguably, were it not for an event that took place over 225 years ago, Pitcairn Island might possibly be nothing more than an obscure dot on the map, an uninhabited beacon of stone alerting sailors in this vast region of the South Pacific. However, history had other plans and the actual significance of Pitcairn would ultimately become known worldwide. Today over 2200 books and articles have been written and six major movies and documentaries have been produced chronicling the most famous mutiny in all of naval history—the mutiny aboard the Royal Navy Vessel HMS Bounty. This infamous conflict pitted the brash and demanding Lieutenant William Bligh (Bligh’s official rank in the Royal Navy was not Captain at the time he commanded the Bounty) against his young master’s mate, Fletcher Christian. Pitcairn Island would be the setting of the final act in this fascinating tale of high seas drama. The strict discipline imposed by Bligh on the Bounty crew following their prolonged stay in Tahiti resulted in growing discontent that ultimately turned to mutiny. On April 28, 1789 Fletcher Christian and twenty-two mutineers took command of the vessel and forced Bligh to depart the Bounty in a 23 foot long open life-boat. Eighteen loyalists accompanied Bligh in what should have been a futile attempt at survival in the open seas of the ominous Pacific. 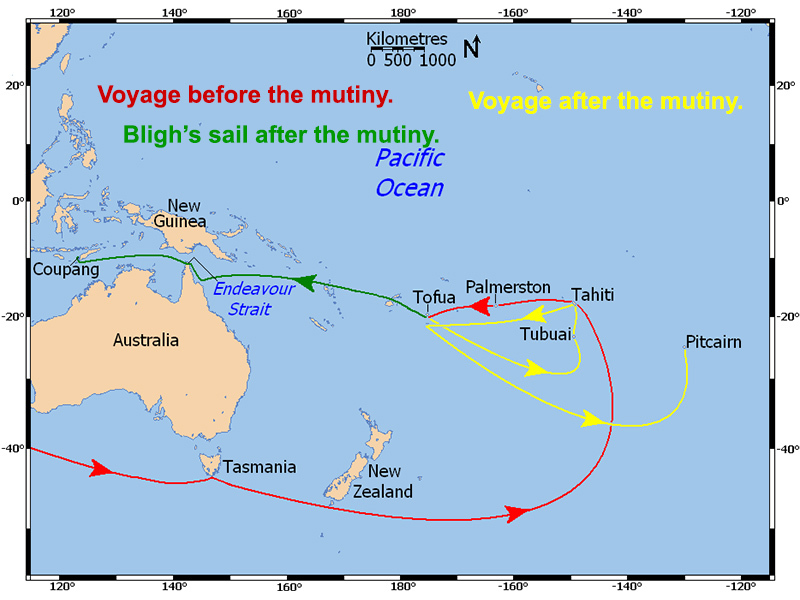 However, Bligh’s incredible navigating skills resulted in a safe journey for him and his men as they arrived in Dutch Timor after sailing 4000 miles in 47 days. In the aftermath of the mutiny and an unsuccessful attempt to settle at the island of Tubuai in the present day Austral group, Christian and the Bounty mutineers returned to Tahiti in September 1789 where sixteen of the men went ashore, opting to take their chances with the Royal Navy and remain on the island. Christian, eight of the crewmen, along with six Tahitian men and eleven women, one with a young girl, then set sail once again from Tahiti in their attempt to elude the Royal Navy. Christian and his band of mutineers continued to scour the Bounty’s onboard naval charts searching for “safe” haven. They tried unsuccessfully to locate Pitcairn Island which had been misplaced on the Royal Navy charts due to a 3 degree longitudinal error recorded by the island’s discoverer, Captain Philip Carteret 23 years earlier. However, Christian assumed this was the case and had the Bounty crisscross the known latitude until finally on January 15, 1790, they spotted what appeared “like a great rock rising from the sea” as documented by Captain Carteret. The mutineers wasted little time and by the evening of January 17th everyone had moved onto the island taking with them all of the ship’s provisions and livestock brought from Tahiti. 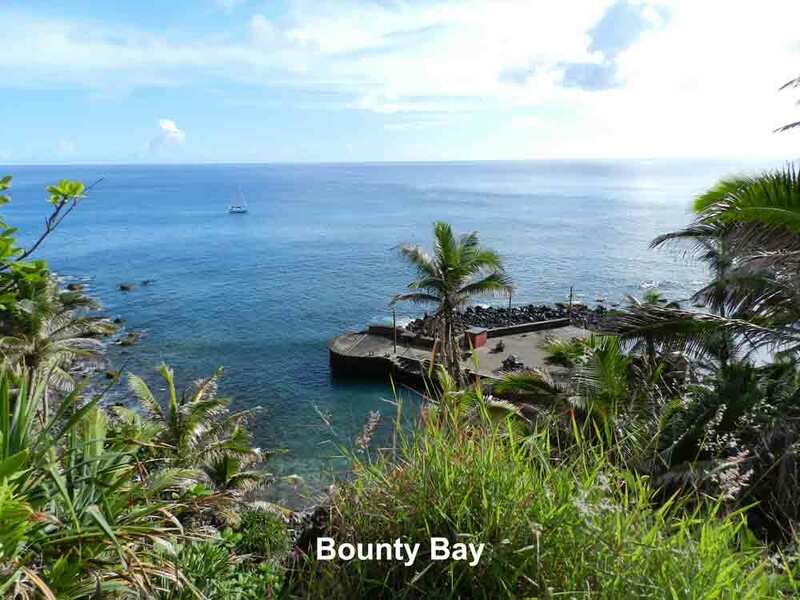 On January 23, in order to prevent the ship’s identification as well as prevent anyone from possibly escaping Pitcairn, the Bounty was unceremoniously burnt to the waterline in what is now known as Bounty Bay. While it was hoped that this settlement of Pitcairn Island, with its blend of European and Tahitian culture, would be a paradise on the order of what Christian and his fellow seamen experienced at Tahiti, this would not be the case. Rather, conflict ensued between the mutineers and the Tahitian men to the point of violence and death including ultimately that of Fletcher Christian who died of a fatal gunshot wound. Today, in spite of its conflicted and violent origins, its extremely remote location and its limited resources, Pitcairn Island continues to survive. This is as much to the credit and character of its people as it is any other factor. For the modern day descendants of the folks that ventured onto this massive rock in the middle of the ocean 225 years ago remain as pioneers and adventurers, regardless of their ancestry’s clouded motives and mutinous beginnings. The “Pitkerners” today are the sole surviving remnant of an epic historical tale that will continue to be told for generations to come. It will truly be an honor for the members of the DXpedition team to step foot onto Pitcairn, meet and greet our gracious hosts, proud descendants from this well-known slice of history and operate amateur radio from one of the most remote pieces of inhabited real estate on earth. The Great Pitcairn Island QSO Party!